Having a hard time deciding? 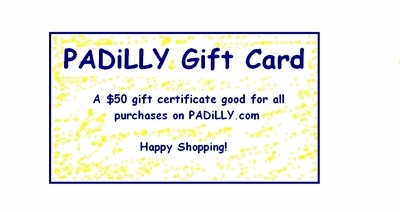 Try a PADiLLY gift certificate! Provide us with the email address of the recipiant. They will receive an email with their gift certificate 24-hours later. Don't forget to type a gift message. This message will appear inside the email.